We have arrived on Foursquare.com. And the first thing we did is to compile two “Best of” lists for the places we know very well – New York City and Greater Fort Lauderdale. Those lists are easy to find on our Foursquare page, they are called: The Best of New York City and The Best of Greater Fort Lauderdale. It’s a mix of all the “best” that we find in the cities we live in and take a note of to share with our friends and family: from spas, hair salons and hotels to restaurants, lounges, dance clubs and shopping sites! Cocktails we like, quick bites we take, fashion boutiques we visit – in those two lists we’re revealing our secret spots for fun and pleasure in the cities we enjoy, when we are not at work. If you feel like we are missing something, please add-on! 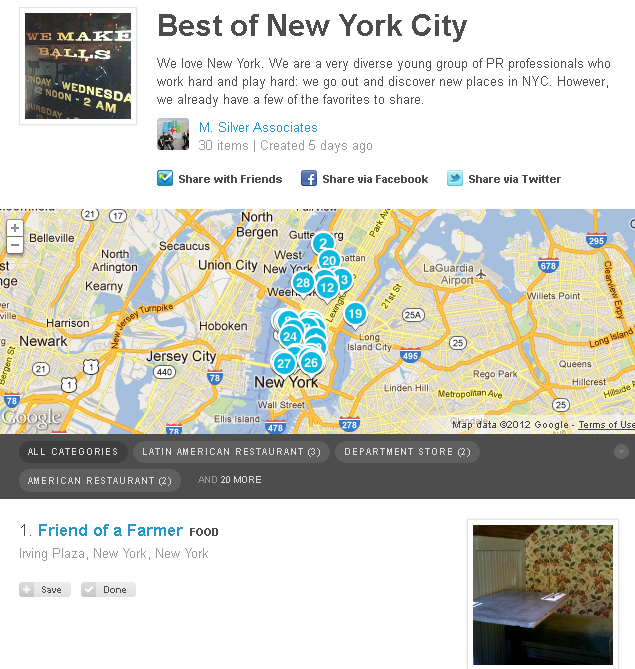 And don’t forget to check-in on Foursquare and let us know what you thought of the place we recommend. Look forward to foursquare-friend you!